Are you thinking about studying abroad? College is a time of adventure! A time to learn new things, meet new people, and experience the world around you! Studying abroad can offer new and exciting opportunities that you haven't had the chance to explore before. 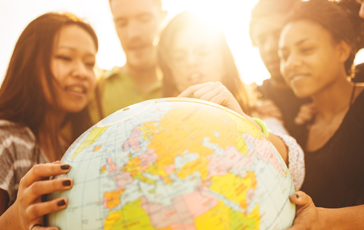 We have researched the top pros and cons of studying abroad. Pro: Meeting New People: Making new friends while studying abroad is a must! It may be someone who is also studying abroad or one of the locals. Having that relationship will definitely benefit you while away from home. You can learn many things from them and you will make new memories! Con: Homesick/Loneliness: Even though you will meet new people, you may experience loneliness or become homesick. It is common and normal to miss your family and friends, your home, or your normal routine. Be sure to stay in touch with those back home to give you some comfort if you are feeling homesick. Pro: Travel Experience: While studying abroad, you will have time to explore. The things you can experience are endless! Trying new foods, changes in scenery, different kinds of wildlife, and so much more. Make the most out of your trip and research where you plan on studying then make a list of all you would like to see and do. Con: Cost: It is no secret that studying abroad can be costly. You have to factor in flights, meals, housing, tuition, fees, living expenses, etc. You may check with your institution for financial aid, scholarships, or grants available to assist with these costs. Make sure you have a budget in place and you stick to it! Pro: Culture: You will have a first-hand opportunity to experience daily life in a new country! The beliefs, history, and values of a new place will allow you to really see the country you choose to study in. Con: Culture shock: On the other side of experiencing the new culture, being in a new country around people you do not know can be overwhelming. You may experience some disorientation trying to figure out your way around or trying to blend in with the locals. Pro: Learn a New Language: It is always interesting to learn a new language. You will be able to absorb more in a new culture if you can understand and speak the native language of the country you are visiting. Con: Language Barrier:	Even though you may have studied the language, chances are you won't be fluent. This can be a challenge while in a foreign country. Don't let this stop you! Continue to learn as you go. Pro: Independence: Being away from home and those you know will force you to become more independent. Depending on the program you choose, you may be on a campus, in a hotel, or an apartment. You will have to rely on yourself to figure out daily tasks. This can be eye-opening to see what you can accomplish on your own. Con: Credit Transfer: It can be stressful to think you have spent this time away and your credits may not transfer. 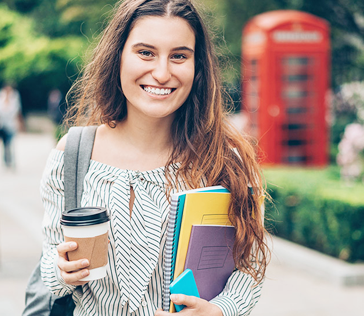 It is important for you to discuss with your university the options you have for studying abroad and what you need to do to make it happen while making sure your credits will transfer seamlessly. Whether you are contemplating going to Ireland for 2 weeks, or Spain for a year, you are bound to gain unique skills and create memories that will last a lifetime! If you decide to study abroad, know that your belongings are protected wherever you go WORLDWIDE, with coverage from NSSI. Get a quote now before you start your journey!